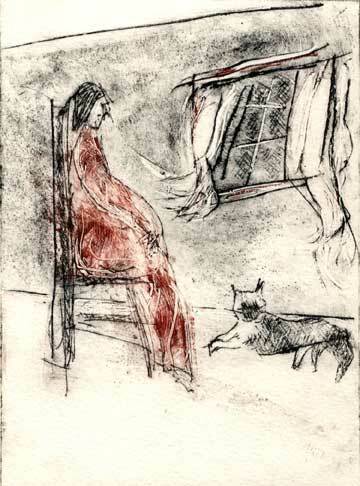 Le chat (6.75 x 5 inches /17 x 13 cm), a dry point intaglio print on plexiglas (Plaskolite 050) plate. 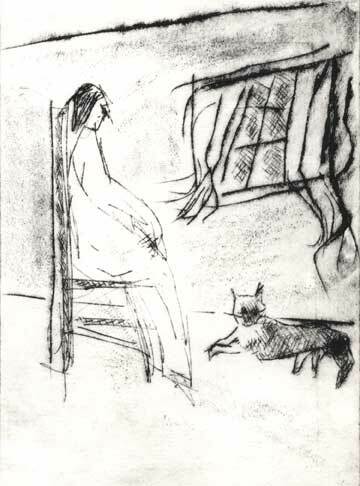 Using traditional dry point needles, nails and roulette, I drew the image freely, without the use of a preliminary sketch, somewhat inspired by a small monotype that I did a while back, and my cat. I printed on 11 x 7.5 inches/28 x 19 cm paper, which was wet beforehand. All inks used are oil based etching inks. 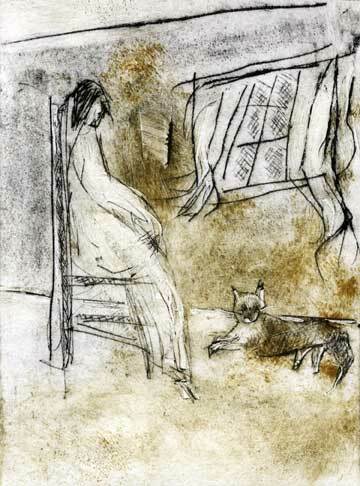 A first print was pulled with dry point inking only, and subsequent variant monotype prints were pulled with à la poupée colour inking and wiping. 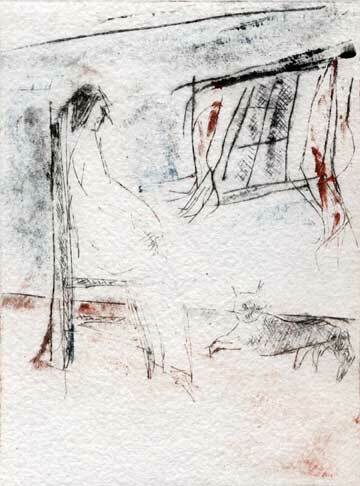 Dry point only with black ink on BFK paper. Variant print with dry point black inking and à la poupée yellow ocre inking on same plate, on BFK paper. Variant print with dry point black inking and à la poupée red inking on same plate, on BFK paper. Variant print with dry point black inking and à la poupée red and blue inking on same plate, on hot press Somerset paper. 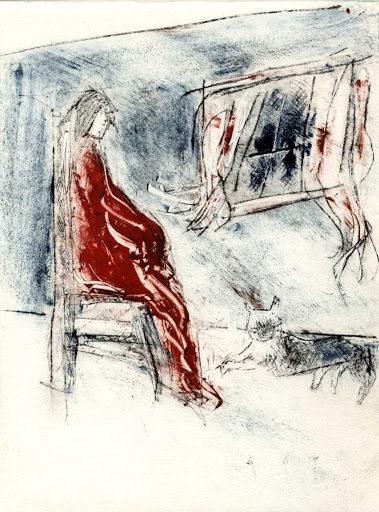 Variant print with dry point black inking and à la poupée red and blue inking on same plate, on handmade paper. You will notice that the print on this handmade paper is much more subdued. Also, as with all dry points, with each additional inking and pull of the print, the burr of the dry point wears off, and there is less intensity in the black dry point lines. These prints were all printed in my studio on my new Richeson Baby Press.